February 1, 2018 (Boston) — Sun Multisport Events LLC (SME) today announced Breakthrough Performance Coaching, LLC (BPC) as the exclusive coaching service of SME’s 2018 multisport race series which includes the award-winning Patriot Half, the Whaling City Tri & Du and the Cranberry Trifest. Together, SME and BPC have developed a terrific line-up of in-person and online programs to help triathletes of all experience levels achieve their 2018 goals. BPC coaches will be available at each 2018 SME triathlon for athlete Q&A and will also staff the “Inspiration Station” at each race where spectators can go to create signs of encouragement for their favorite athlete, get temporary tattoos, cowbells and more. 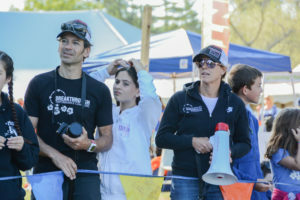 Sun Multisport Events (SME) is an award-winning endurance event production company based in New England offering a unique set of events for athletes of all levels of experience. 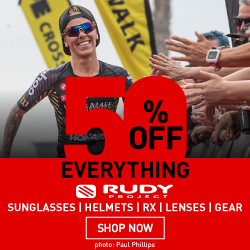 The SME line-up includes the RACE-MANIA Summit and Expo, a day designed to educate, equip and inspire endurance athletes on the eve of a new season… an award-winning multisport race series… and a rapidly growing trail run series. SME’s Patriot Half has won “Best Triathlon” in the 2016 Best of Competitor (Northeast) and “Best Small Race” (less than 1,000 athletes) in the “Triathlete’s Choice” awards program organized by Triathlon Business International. The SME triathlon series also won “Best Race Series” in the 2013 Triathlete’s Choice Awards.